My research interests lie broadly in the intellectual, political and religious history of Scotland between c. 1450 and c. 1650. I am the principal investigator in the successful AHRC funding bid for the project Bridging the Continental Divide: neo-Latin and its cultural role in Jacobean Scotland. The project was awarded the grant in 2012. 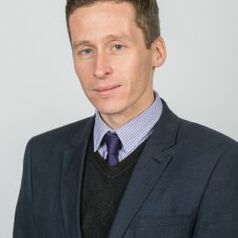 I was one of eleven researchers on Alexander Broadie's project, funded by a £90,000 Leverhulme Trust International Network Grant, which investigated the history and development of philosophy in seventeenth-century Scotland, and its linkages with philosophical practice in France in the same period. The project included five workshops and a closing conference between 2010 and 2013, and has multiple outcomes in press, including two books, and a website in development which will continue to be updated as an ongoing resource. I was awarded a Fulbright Scholars Award, funded by the US-UK Fulbright Commission and the Scottish Government, to take up the post of visiting lecturer in Church History at Yale Divinity School between January and May 2012, where I taught a course on the history of the Scottish Reformation and its impact on Scotland’s cultural life. Whilst there I also continued my work on the neo-Latin poetry of Andrew Melville, the results of which appeared in the edited collection on Melville co-edited with Professor Roger Mason.